Statistics estimate that on the streets of US there are 263.6 million cars. On average 1,000 people die in car crashes each day. The circumstances of these car accidents vary significantly and establishing the liability is essential to get compensated. The best thing you can do is to discuss with your lawyer how your accident happened, file your car accident injury claim in Maryland, build up a bulletproof case and receive the compensation you deserve. In this article you will find out the most common car accident scenarios directly from the best car accident injury lawyer in Maryland. Most of the time, rear-end car crashes are cut and dry. If the accident happened at an intersection, if a driver failed to stop maintaining a safe distance from the car in front of them at a stop sign or stoplight, then they are liable for the accident. Your car accident injury attorney from Maryland will have an easy job proving it, especially if there are traffic cameras in the area or witnesses to the accident. If you failed to stop at a safe distance and rear-end the car in front, then you may be found liable for the accident. Even if the driver of the car in front of you hit the brakes quickly for some reason, the primary fault will still be yours. A lot of accidents occur when making left turns. This type of accident may have been influenced by several factors, including the traffic lights and signals. For example, if an accident occurred at an intersection where the left turn is allowed only when the traffic light permits it, then the driver who fails to respect the rules is liable. Instead, if the accident didn’t occur in an intersection, it is possible that one or more drivers are responsible. 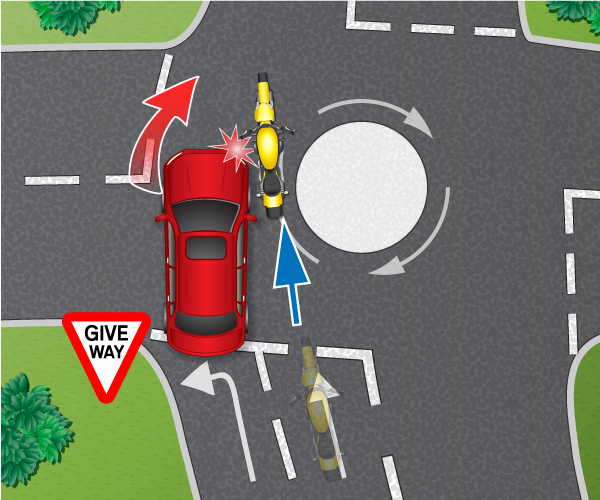 The driver who turned left may be liable if they turned when the oncoming traffic was too close, but the other driver may also be partially responsible if they were distracted while driving, failed to hit the brake when the situation obviously required it, or were speeding irresponsibly. In Maryland, texting and talking on a hand held device is illegal and if such a reckless action causes a car crash, then the driver will be liable for the accident. It is possible for third-parties to be held partially responsible for a car accident, such as in situations when an employer is on the other end of the line. If you’ve been involved in a car accident, depending on the situation, you may file a car accident injury claim against the other driver and receive compensation. Even if the other driver is only partially responsible you can still recover damages. Explain to your lawyer how the accident occurred and see what legal options you have. For more information contact the best car accident injury attorney from Maryland at (443) 569-3950 or send an email to [email protected].